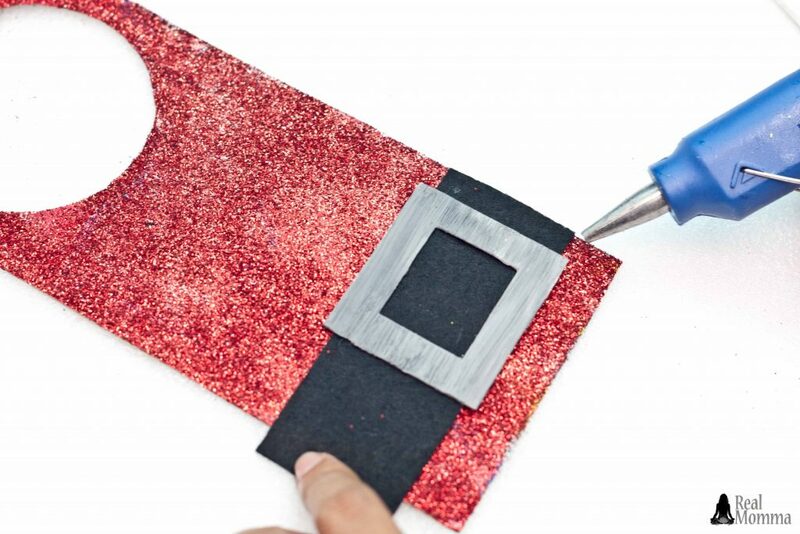 You're going to love this quick and easy DIY Santa Claus Door Hanger! 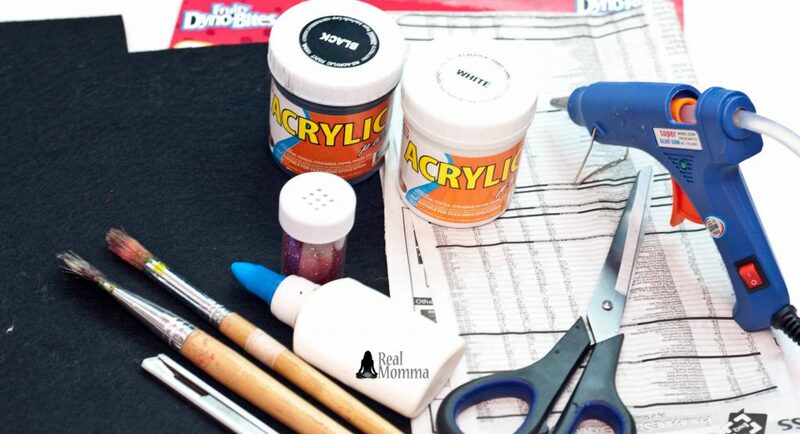 The kids can easily make it and will have a blast painting, glittering and gluing all while creating a disaster! 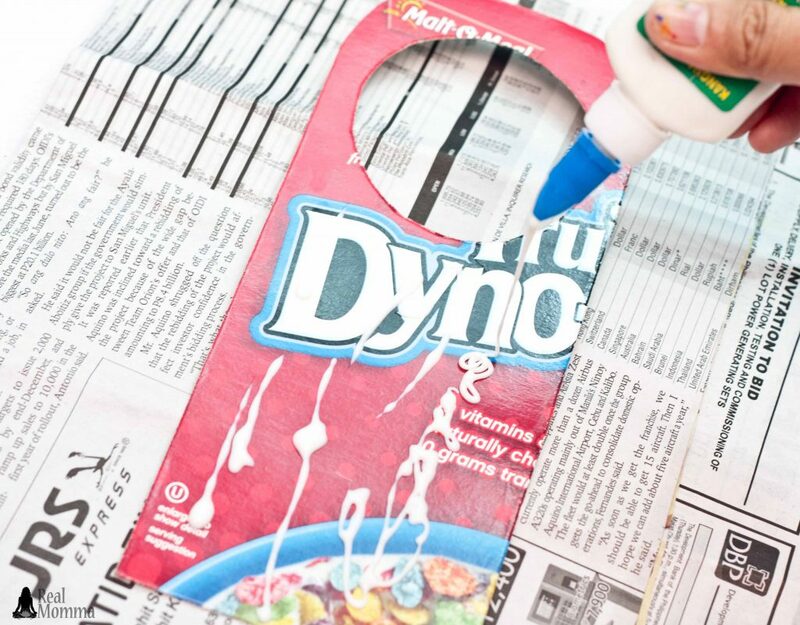 With a few supplies you'll be able to create numerous door hangers, maybe even one for each room in the house! 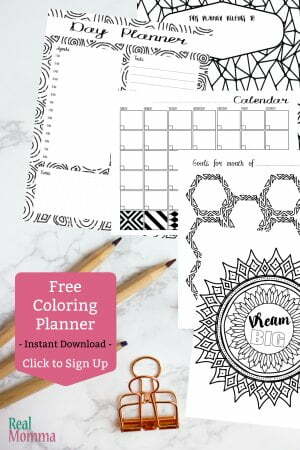 These also make cute add-ons from the kids to slip inside gifts to family and friends. 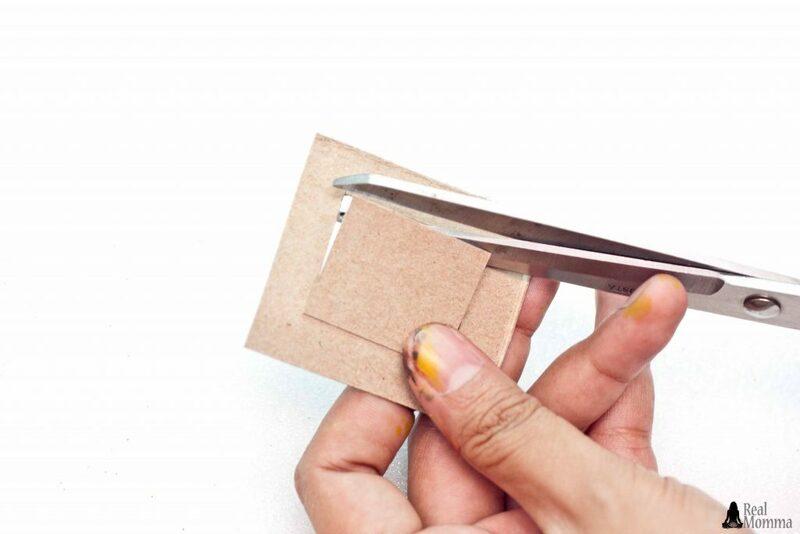 Step 1: Cut a rectangle that is about 22 centimeter in length and 10 centimeters in width from the empty cereal box. This will be the main frame of the door hanger. Trace the masking tape on the upper part of the box. The orientation of this should be in portrait. The masking tape is used as a reference to the door knob size, but any perfect round object would do. 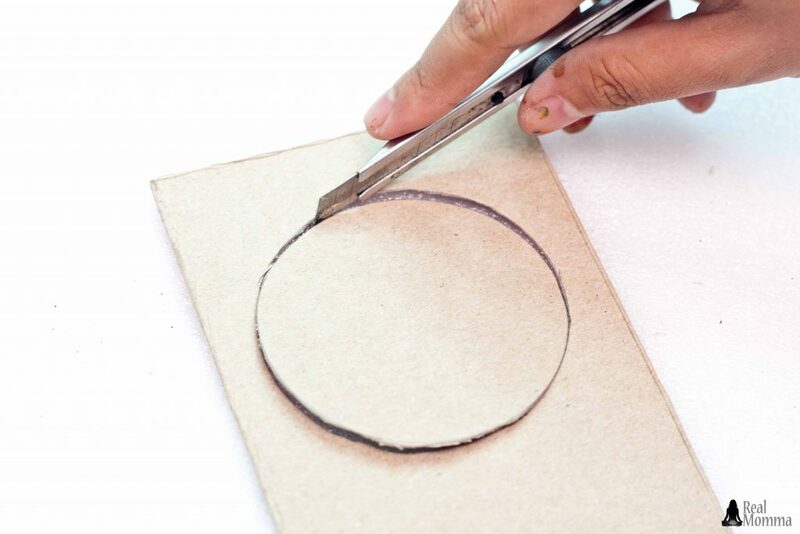 Step 2: Cut the traced circle on the box using a cutter. 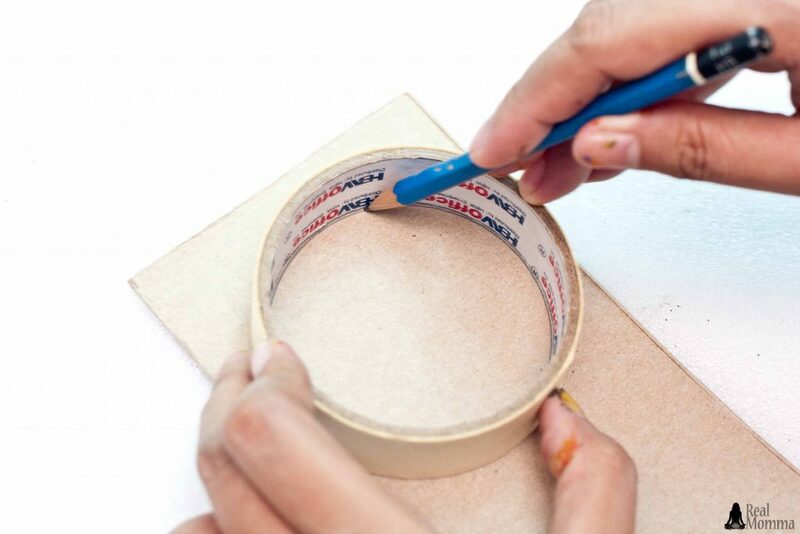 Step 3: Curve the outer edges on the topmost part of the door hanger body. Do this on both edges. 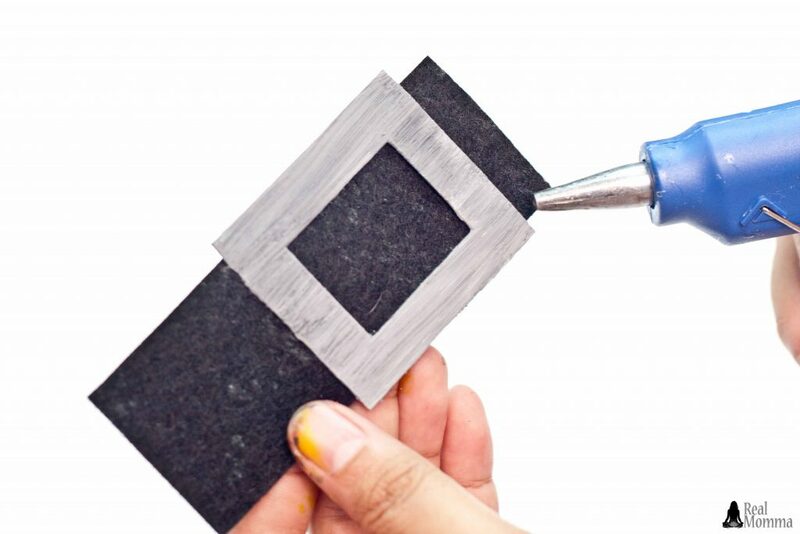 Step 4: Generously apply white glue on one side of the door hanger. Step 5: Evenly brush the white glue on the body of the door hanger. 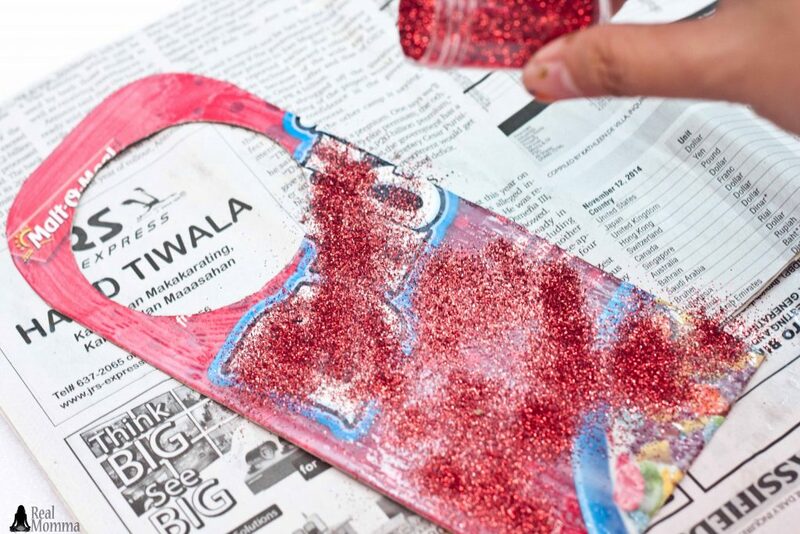 Step 6: Sprinkle the red glitters on the body of the glued door hanger body. 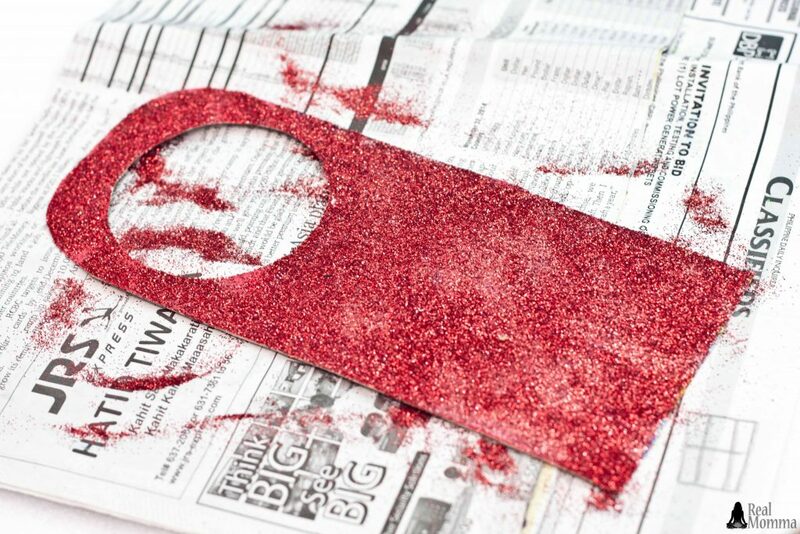 Step 7: Let the glue dry and the glitters to settle on the body of the door hanger for at least an hour. 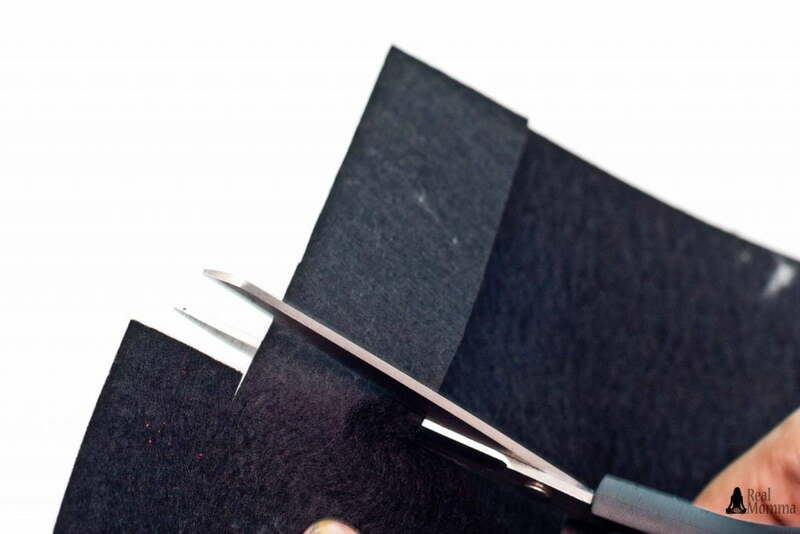 Step 8: Cut a small strip of black felt. The width should be at least 2 to 3 centimeters and the length would depend on the width of the door hanger’s body. This is the belt of Santa. Step 9: Cut a small square that is quite bigger than the belt. 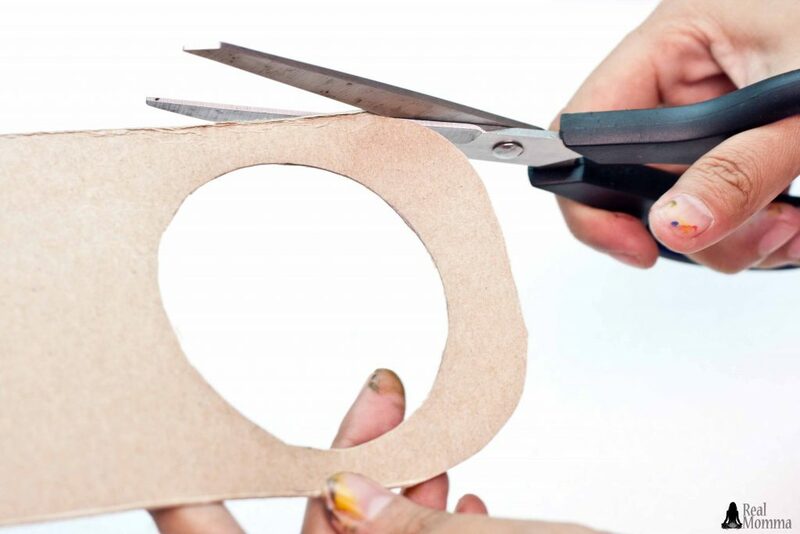 Cut a smaller square in the middle to create a hole. This will be the belt’s buckle. 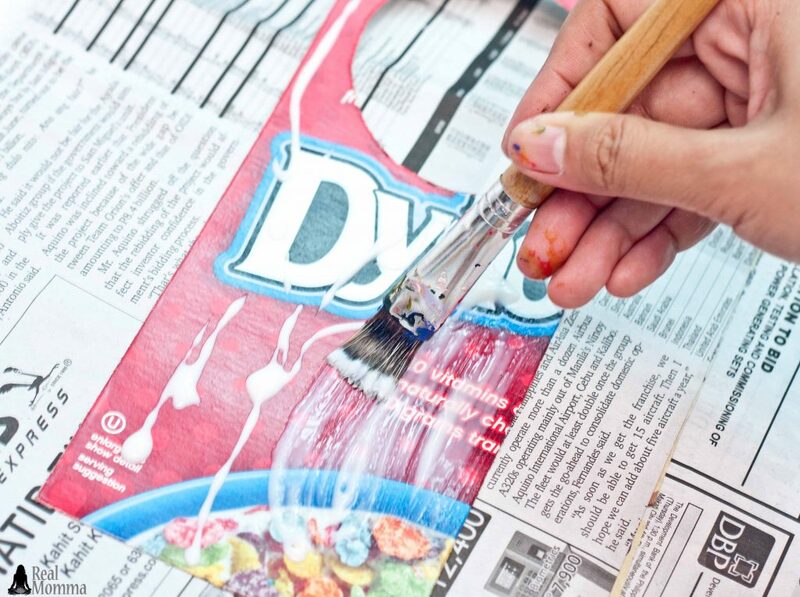 Step 10: Mix white and a little bit of black to create a gray acrylic paint. 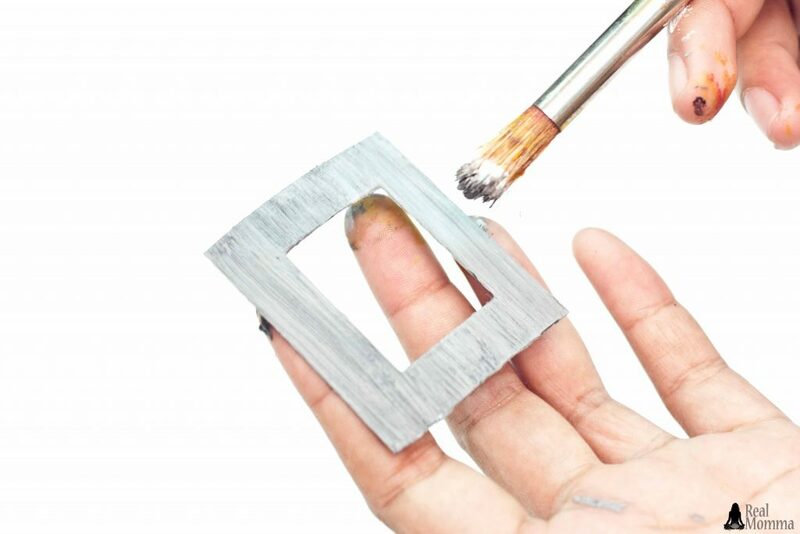 Paint the buckle with this and let it dry for an hour. Step 11: Hot glue the buckle on the belt. The buckle should be somewhat one-sided to create an effect later on. 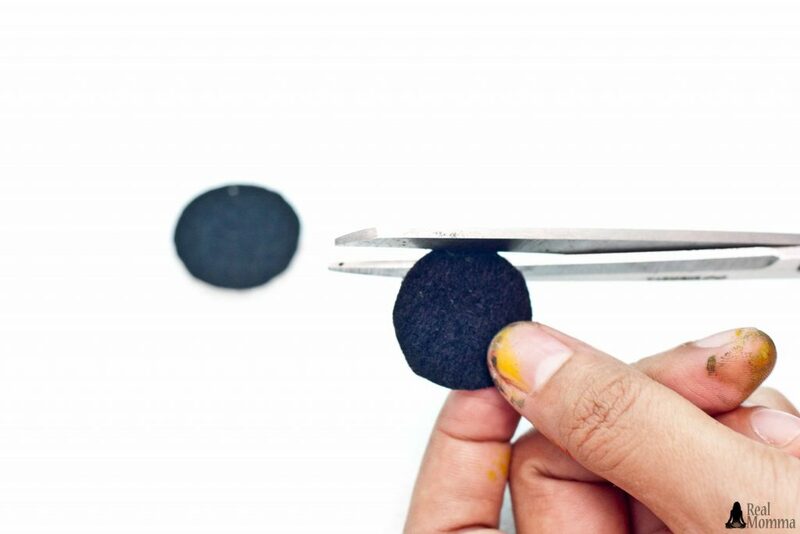 Step 12: Cut two pieces of a black circle from the crafting felt. This will be the buttons of Santa. 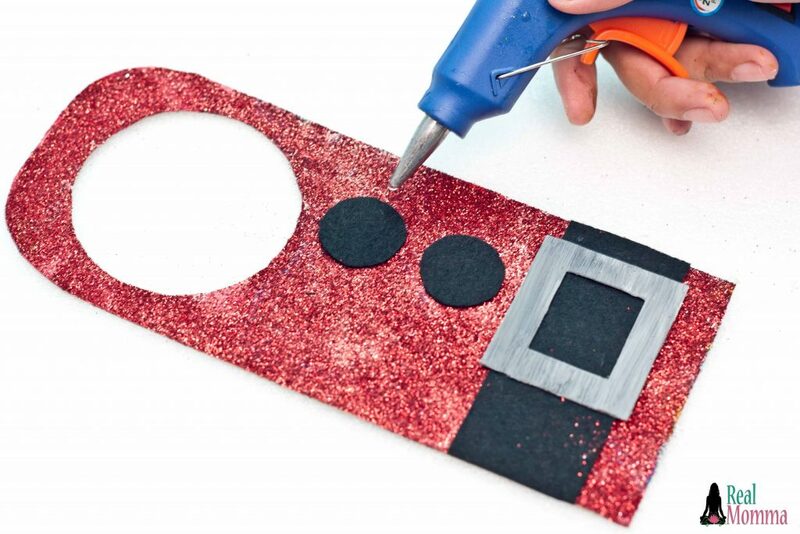 Step 13: Hot glue the belt with the buckle on the lower thirds of the door hanger’s body. Step 14: Cut the excess of the belt if there is any. Step 15: Hot glue the buttons on top of the belt. 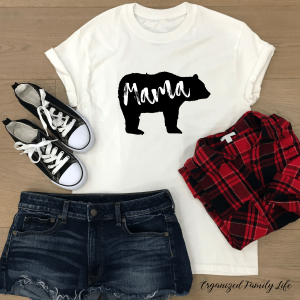 This should be aligned with the buckle of the belt. Step 16: Try the door hanger on and make necessary adjustments. 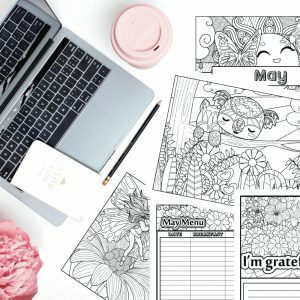 Step 17: Done and ready to use! 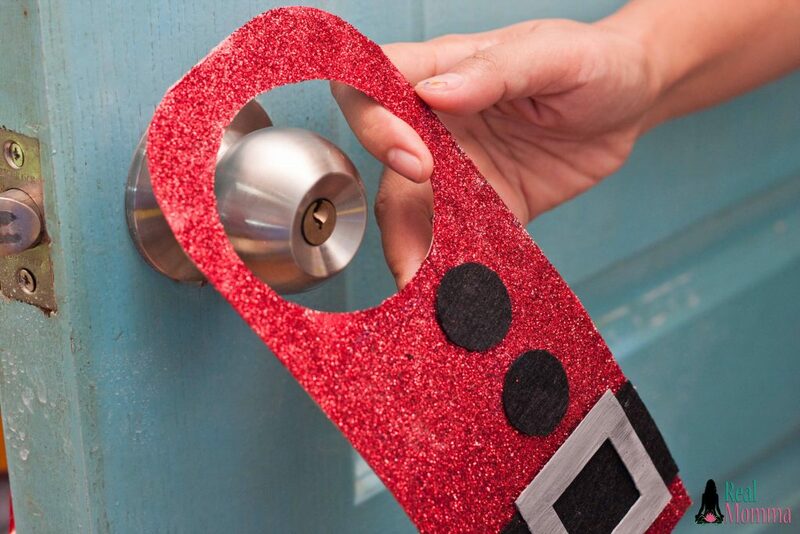 You can now hang your cool and simple Santa Claus door hanger to celebrate the season! 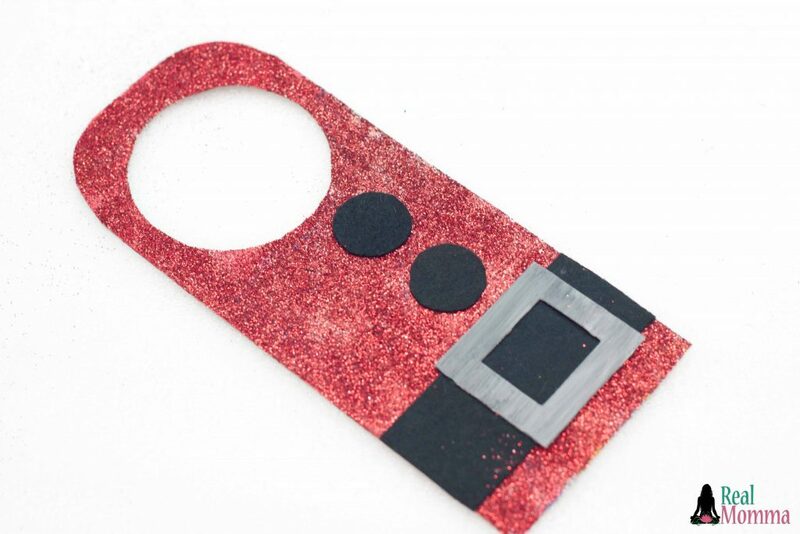 This quick and easy DIY Santa Claus door hanger is the perfect craft to make with the kids! 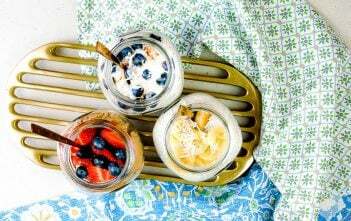 They love making a couple extra and sticking it in gifts we're giving to friends and family during the holidays. 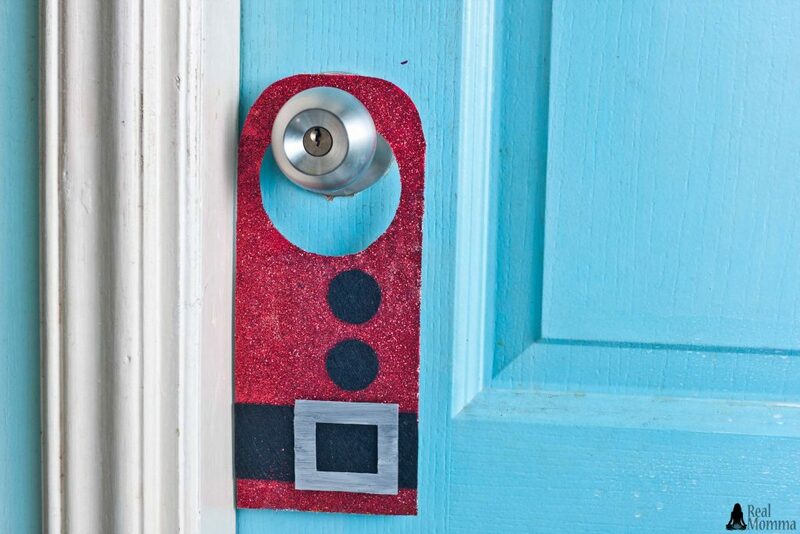 It is a simple way to decorate the door and spread a little Christmas cheer. 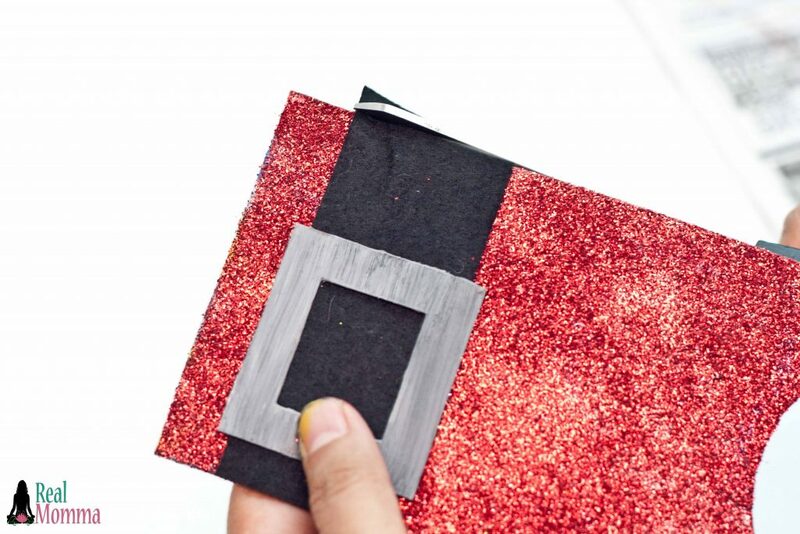 What's your favorite Santa craft?